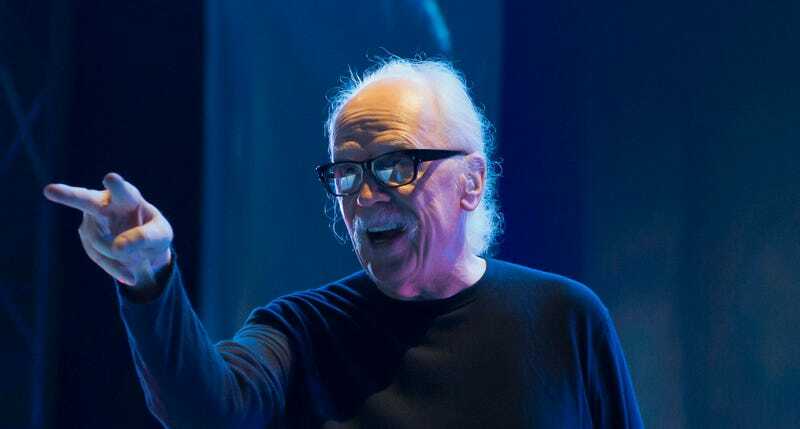 You may be into Destiny 2, but you are not as into it as horror master John Carpenter, who is very into Destiny 2. The legendary director and composer was featured this week by The Guardian, and the interview begins not with talk of movies or his latest album, but with Bungie’s new shooter. Hi John. What have you been up to? I’ve been playing the video game Destiny 2. It’s a sci-fi game. It’s fun. I’ve heard of that. Isn’t it really hard and involves shooting aliens? Oh, it is hard. That’s why I’ve dedicated my life to learning how to play it. At my age why not? It keeps me out of trouble. I want to imagine Carpenter retiring to a cave in the mountains, forsaking all possessions except a synthesizer and a PlayStation 4. He wakes every morning, washes his face in a small spring, eats a simple meal of boiled rice and fish, dresses in his retirement robes then begins a 22-hour shift in dedication to his Warlock “Gor3face”, pausing only to reflect on Destiny 2's deepest and darkest secrets.